At Glowing Salon, you’ll find exclusive services that you’d be hard-pressed to discover elsewhere. 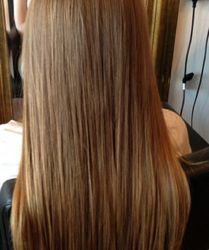 In fact, we’re one of the first to offer what’s called the Brazilian Blow-Dry. Brazilian Blow-Drys leave your hair looking fresh, healthy and smooth. How do we do it? It’s simple! We’ve evolved our methods to incorporate keratin, which we infuse into our customers’ hair for a superior glossy finish that lasts for months. Keratin is a natural ingredient that smooths away frizz and repairs damaged hair, which is why it’s found in many hair products, but it’s never been included in a blow-dry before. This treatment can be done for any type of hair, whether it’s been colored or not. This treatment is perfect for special occasions so you don’t have to spend hours taming fly-aways. Brazilian Hair Knots are also offered at Glowing Salon. Brazilian Knots are hair extensions that use an all-natural method to tie extensions in using elastic thread. Remember all the harsh chemicals you used at other salons that left your hair with that awful chemical smell? Well, we don’t have any of that here! 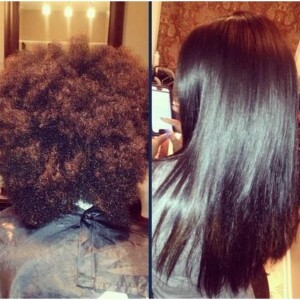 Brazilian Hair Knots us absolutely no chemicals. Because we use a strand-by-strand method to tie hair extensions in, the procedure does take a little longer, but don’t worry! You’re in good hands. The ladies at Glowing Salon use a gentle touch to minimize discomfort. Almost any part of your makeup can become semi-permanent, from lip and brow color to eyeliner and beauty spots. That’s why we offer semi-permanent makeup treatments. Take precious time off of your morning makeup routine with semi-permanent makeup so you can sleep in! Semi-permanent makeup acts much like a tattoo, but it does eventually wear off, so you’re not stuck with the same look forever. With 14 years of experience, our semi-permanent makeup specialist will have you looking beautiful for your next Valentine’s Day date. At Glowing Salon, we’re always striving to find new ways to serve our customers. New methods and techniques are on our radar, and we hope to bring even more services and experts in to beef up our available offers. For quality service and professionals who care, stop by Glowing Salon today or set an appointment up by calling any of our three locations in Manchester. We look forward to seeing you!